The “Always-Connected PC” platform (ACPC), announced this time last year by Qualcomm, is an exciting new concept for computers that strives to achieve the ideal mobile computing device. The promise of the ACPC is that of 20+ hrs of battery life, an always-on connected device, a device that will be ready to work the moment you open the lid. It’s a dream that has so far only been achieved by tablets like the iPad, albeit with significant restrictions in terms of functionality. Last year’s ACPC platform was announced on the Snapdragon 835 Mobile Platform and followed up with an update to the Snapdragon 850 platform, which was essentially a more powerful Snapdragon 845. The demos we saw, involving devices like the ASUS NovaGo and HP Envy X2, were really good. We saw devices comfortably running the Microsoft Office suite and managing to render simple 3D objects. Performance wasn’t perfect and hardly comparable to an Intel-powered laptop, but there was enough performance for most day-to-day applications. This was on devices running the Snapdragon 835. Today, Qualcomm followed up with what they claim is their most powerful chipset yet, the Snapdragon 8cx computing platform. The new chip is built on a 7 nm manufacturing process, which means that on paper, the new chip is more efficient than, say, Intel’s 14 nm+++ (we’ve lost track by now) architecture. 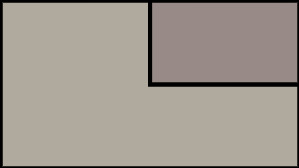 7 nm defines the size of the smallest feature on any chipset. The smaller the feature, the more power efficient it is, which directly translates to higher battery life. 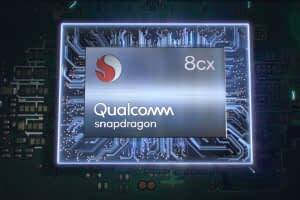 This new chip features Qualcomm’s fastest and CPU-GPU combo. 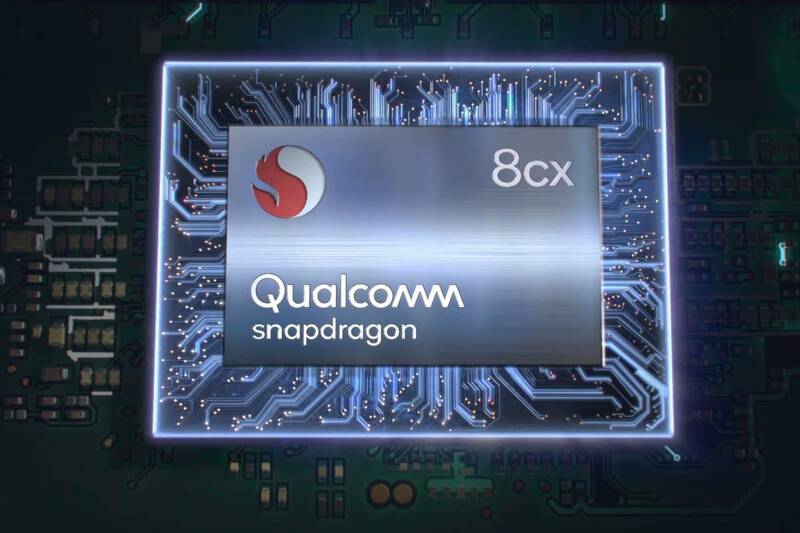 The GPU is an Adreno 680, which Qualcomm says is 2x faster than the previous generation compute platform and 3.5x faster than the one on the Snapdragon 835-powered PCs. The chip has twice as many transistors, twice the bandwidth, support for VPN and H.265 hardware decoding (which means more battery life when binging on streaming video content), HEVC video encoding, HDR support and the ability to output to dual 4K HDR monitors. All of this together means that we’re looking at a beast of a GPU that should be able to offer a more than acceptable Windows experience. We’ll be sure to examine these claims in more details when we get out hands on the devices. The new Kryo 495 CPU, which Qualcomm again says is their most powerful yet, is an 8-core chip with 4x high performance cores (each core is roughly equivalent to the Prime Core on the Snapdragon 855) and 4x high efficiency cores. Qualcomm also claims that this CPU is twice as powerful and as efficient as its “15W competitor”, which can’t be anything other than Intel’s 8th generation U-series i5 and i7 CPUs. These are the CPUs that are powering powerful laptops like the Dell XPS 13 and the Lenovo Yoga 920. In terms of connectivity, the chip incorporates the X24 modem, which is Qualcomm’s newest and fastest 4G LTE modem (5G is coming in 2019). 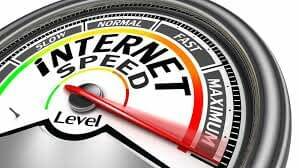 X24 means that devices can hit a theoretical peak download speed of 2 Gbps. This are the same speeds that Qualcomm is claiming for the recently announced Snapdragon 855 mobile platform. The chip also supports USB 3.1 gen 2, which means we can expect about 10 Gbps speeds. This isn’t Thunderbolt 3, so it’s unlikely that the platform will take advantage of external graphics docks and the like. On the software front, it looks like the platform will fully support desktop Windows apps (x86), and this includes Google Chrome, Photoshop and Lightroom. UWP apps (Universal Windows Platform) and other ARM-optimised apps including the entire Microsoft Office 365 suite, browsers like Edge and Firefox and apps like Netflix and VLC are fully supported. Chromium and Firefox are being optimised for ARM already. Other updates include support for Windows 10 Enterprise (including HyperVisor) and Symantec’s security suite.